I never watched those Chinese war movies when I was a kid, I left China too early for me to understand them and after growing up my mom didn't bother showing them to me because a) they weren't available here and b) I wouldn't have understood them anyways since, up until last year, I knew very little about China's contemporary history. Today, I watched one. It's called 我的团长我的团/My Chief and My Regiment. The actors are the same set from 士兵突击/Soldiers Sortie (who came up with these craptastic translations?? O__o). I watched 士兵突击/Soldiers Sortie last year and bawled my eyes out several times, the actors were all cast so perfectly in their roles, the script was unbelievable and I certainly appreciated a chance to see into the what life for a People's Liberation Army (PLA) soldier can potentially be like. 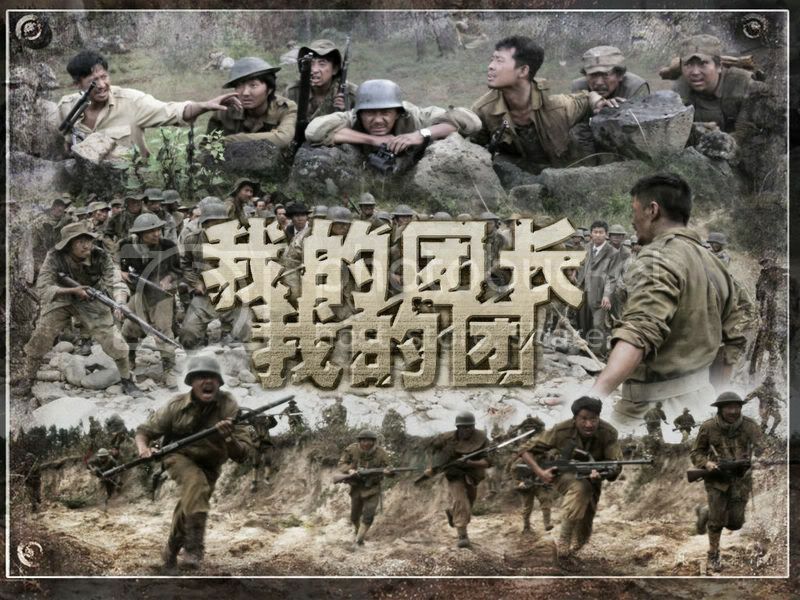 While 士兵突击/Soldiers Sortie is based on the PLA of today, 我的团长我的团/My Chief and My Regiment rewinds history to 1942, during the war against the Japanese invasion. I kind of cringed when I first heard, I'm not enthusiastic about war movies. They hit too close to reality for me, documentaries are one thing as they usually just narrate the facts and casualties are reduced to numbers, but movies make it a point to tug on your heart strings. 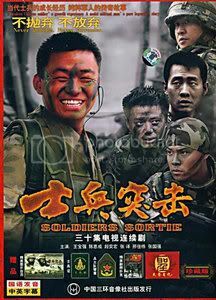 Given the casting and my appreciation for the great job they did in 士兵突击/Soldiers Sortie I'll finish watching 我的团长我的团/My Chief and My Regiment, but I get the feeling I'd better pull my tissue box out. 士兵突击 <-- I've only seen a few random flashes while my parents were watching it. A family friend of ours is in that! though it was a tiny role and he got killed quickly .w. I'm curious. Did your mom teach you Chinese while you were a kid? How/when did you learn it? Yes, my mom taught me. Forced me actually. She brought over textbooks from China for me to learn initially, then found out I lacked the cultural background to understand some of the stuff in the textbooks after the first few years and switched to letting me watching historical dramas like Romance of the Three Kingdoms (which she sat and watched with me at first to explain what was going on and what the people were saying all meant as a lot of it was old Chinese speech pattners). Thanks to that I can understand and speak Chinese at maybe a high school level so long as it doesn't dig too much into professional terms. Ie. if I start talking politics using words like Internationl Monetary Fund, ODA, SAPs, UNHDI, etc. I start shoving in English words because I don't know them in Chinese. My writing by hand is like, grade 2 level, typing on computer is maybe middle-school level and reading (simplified characters) is maybe...oh...grade 5? So she didnt talk with you in Chinese from day 1? Huh? My mom always spoke to me in Chinese. She gave a bit of slack when I first arrived in the States because she wanted me to focus on learning English and was afraid English and the Chinese pinyin system would confuse me, then after my English was better she started in on the Chinese. We always spoke Chinese at home though, minus the random "DINNER'S READY!" or something in English. You mean about kids learning languages? Yeah, it's a tough call. I know kids who left China around my age and know minimal Chinese these days because their parents didn't for them to learn it. I know I absolutely hated me mom for forcing me to learn at first until I discovered I can watch those cool Chinese dramas and then more recently until I found I can communicate with other Chinese people from that country without a large language barrier and so could enjoy a lot of the cultural things easier. I kind of wish I had a chance to go to school in China before I left, maybe leave at grade 5 or so? But then would my English be as good as it is now I don't know. It would. No worry about that. I started learning English when i was 11.